Born in Rio de Janeiro, Brazil, Pedro Wolff is a Martial Arts practitioner and enthusiast. Judo Black Belt for the past 13 years and Brazilian Jiu-Jitsu Black Belt for the past 7, he’s been a martial artist for more than 25 years. After practicing Law for a decade, specializing in Contracts, Litigation and “MMA Management”, Pedro saw himself slowly being dragged away from his office chair to the dojo more and more often. Under the guidance of the legend BJJ Coral Belt Master Ricardo de la Riva himself, in whose Dojo he had the privilege of training, learning and growing from white to black belt, Pedro finally decided to fully embrace his passion for teaching Martial Arts to adults and, especially, children. He’s been in Singapore for the past three years teaching Brazilian Jiu-Jitsu. Running lessons on BJJ, self-defense and MMA, Pedro is represented by a strong team of fighters with whom he has the best time in sharing his knowledge and experience in Martial Arts on and off the mats. Pedro Wolff is mostly known for his unique skills in interacting with and connecting to kids through Martial Arts. 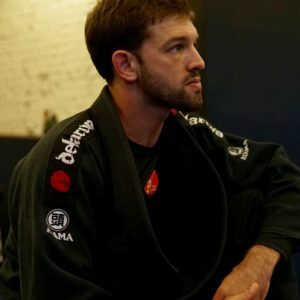 Combining his experience in the field since his own childhood with his 15 years of experience in teaching children and teenagers, he has developed a highly recognized program blending concepts from Judo, Brazilian Jiu-Jitsu and Self Defense. From social projects for underprivileged children in the slums of Rio (“favelas”) to private schools in Singapore, he proposes a new way of exploring the ancient and core values sculpted in this beautiful form of art. Discipline, respect and humility, without ever losing sight of the very key element, “fun”. Pedro Wolff is a father, a black belt, a lawyer, a coach and, above all, an educator.